The effective coordination of fisheries control activities requires adequate monitoring, surveillance and communication tools. 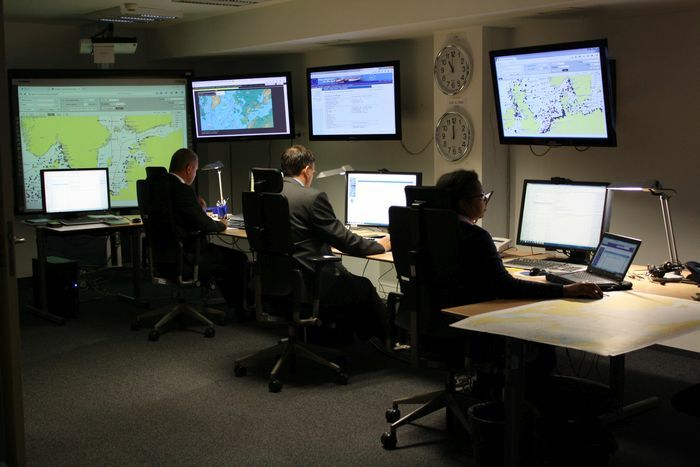 For this purpose the EFCA set up a dedicated coordination centre in its premises. The coordination centre consists of two separate coordination rooms and a meeting/briefing room in a restricted access area. Various high-end maritime information tools as well as access to FIS applications are provided for. These EFCA facilities are used intensively in view of the coordination of joint deployment activities by the EFCA as well as by Member State authorities.